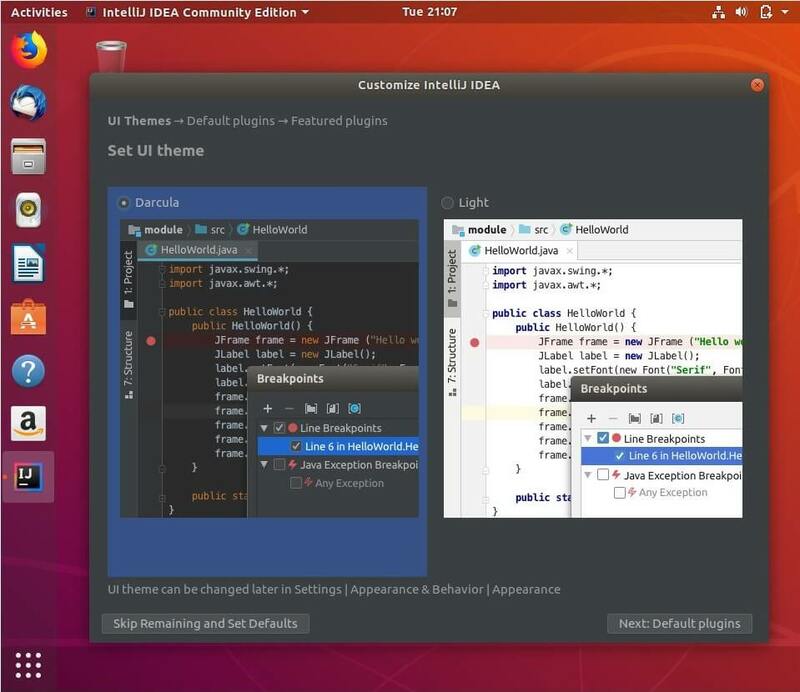 IntelliJ IDEA is an integrated development environment for Java development. Notably, Google uses IntelliJ IDEA as the base for its Android Studio, an open source Android development IDE for developing Android applications. It is developed by JetBrains and is available in two editions, Community and Ultimate. IntelliJ IDEA supports major build automation tools such as Maven, Ant and Gradle, version controls systems such as Git and SVN. It has a built-in terminal, database tools, code completion, inline debugger. Also, it supports detecting duplicates, connecting Docker containers and application servers such as Tomcat, JBoss, etc. IntelliJ IDEA core package supports Java, Groovy, Kotlin, and XML/XSL programming languages. The support for other languages such as Python, Perl, Go, Erlang, etc. can be enabled by installing JetBrains plugins. There are few languages and technologies only supported in Ultimate Edition. Before you install IntelliJ IDEA, compare the Community and Ultimate Edition and decide which one suits your need. 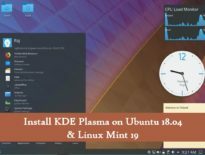 This post guides you on how to install IntelliJ IDEA on Ubuntu 18.04 / Linux Mint 19. 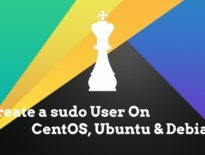 We can install IntelliJ IDEA on Ubuntu 18.04 / Linux Mint 19 using snap sudo apt install -y snapd (the easiest way) or download and run the IntelliJ IDEA manually. Run the following command to install the IntelliJ IDEA snap package. 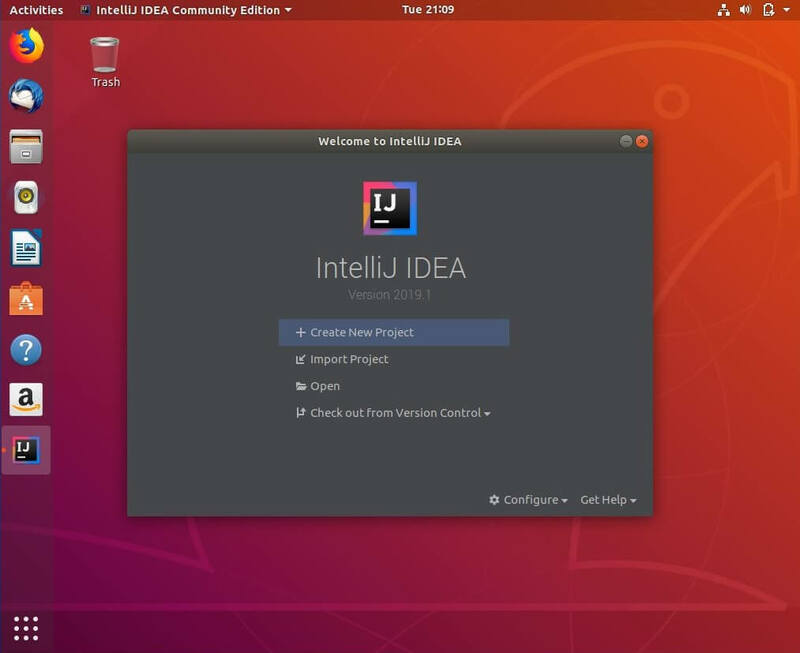 To install the IntelliJ IDEA Ultimate edition, replace intellij-idea-community with intellij-idea-ultimate. The IntelliJ IDEA installation would take some time depending upon the internet connection speed. Upon successful installation, you will see the following message. Ubuntu 18.04: Activities >> Search for IntelliJ IDEA. 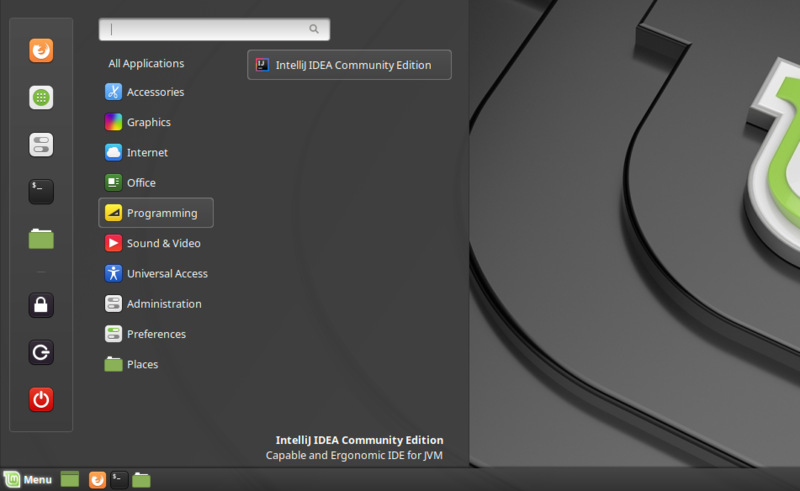 Linux Mint 19: Menu >> Programming >> IntelliJ IDEA. 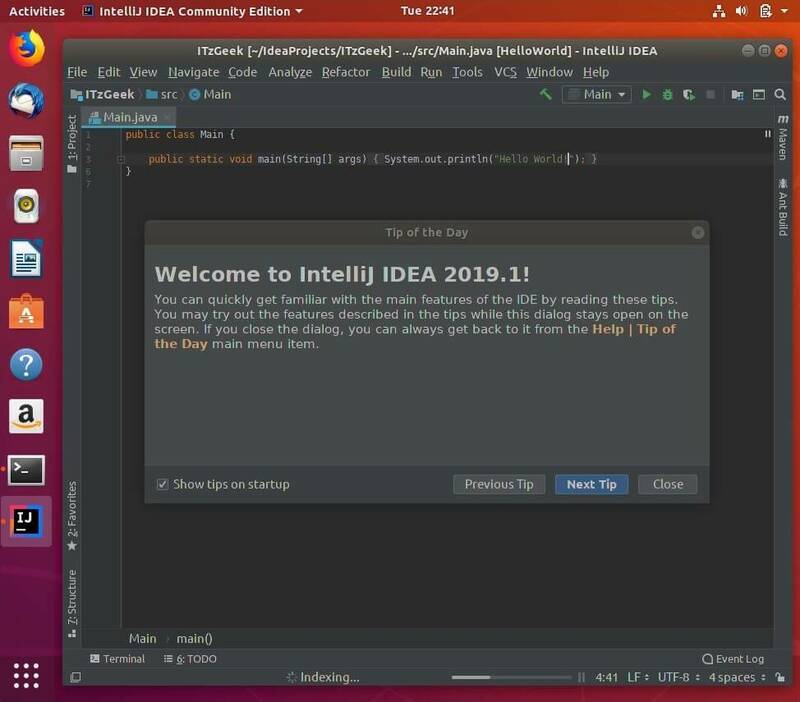 Download the latest version of IntelliJ IDEA (v2019.1) from the official website. In the command line, run the below command to download IntelliJ IDEA v2019.1. If you chose to go for IntelliJ IDEA without Java SDK, you would need to install Oracle SE / OpenJDK sudo apt install -y default-jdk separately. 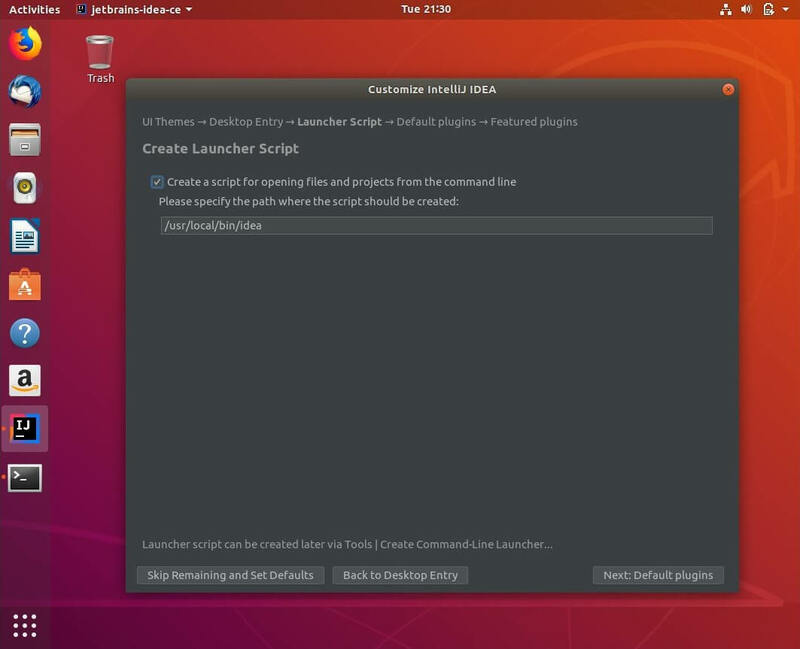 Extract the downloaded package using the tar command. When you open IntelliJ IDEA for the first time, you will get a window like the next asking you to import IntelliJ IDE settings from a previous installation. Click OK to proceed. Select the confirmation checkbox to accept the privacy and then click on the Continue button. Also, choose whether you want to send usage statistic to JetBrains. On the next screen, you can customize the IntelliJ IDEA installation. 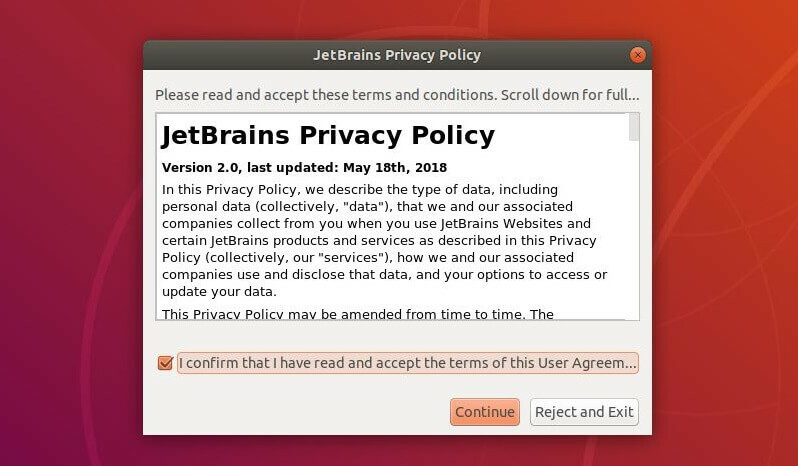 For those who used official Jetbrain packages, you will be asked to Create desktop entry. Also, a Launcher script so that you can start IntelliJ IDEA with the command idea from a terminal. Consider installing IntelliJ IDEA featured plugins. You can skip if you do not want to install them. Click on Start Using IntelliJ IDEA. 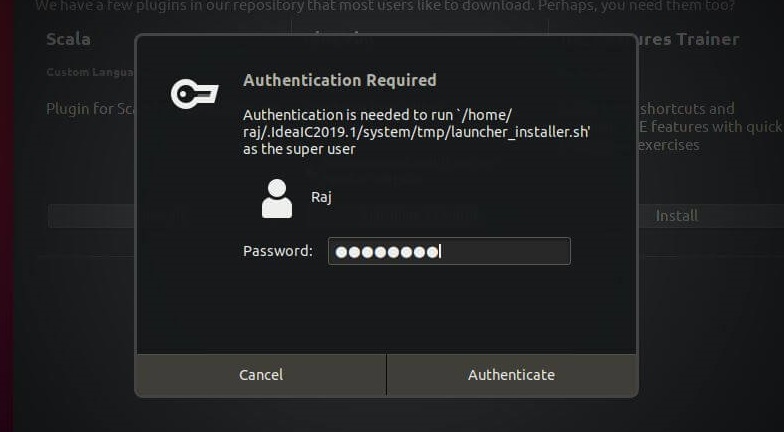 Enter your password if IntelliJ IDEA set up asks to complete the installation. Once you finish the customization, you can create a new Project. Follow the onscreen instructions to create your first project. The following screenshot shows the Java HelloWorld project. 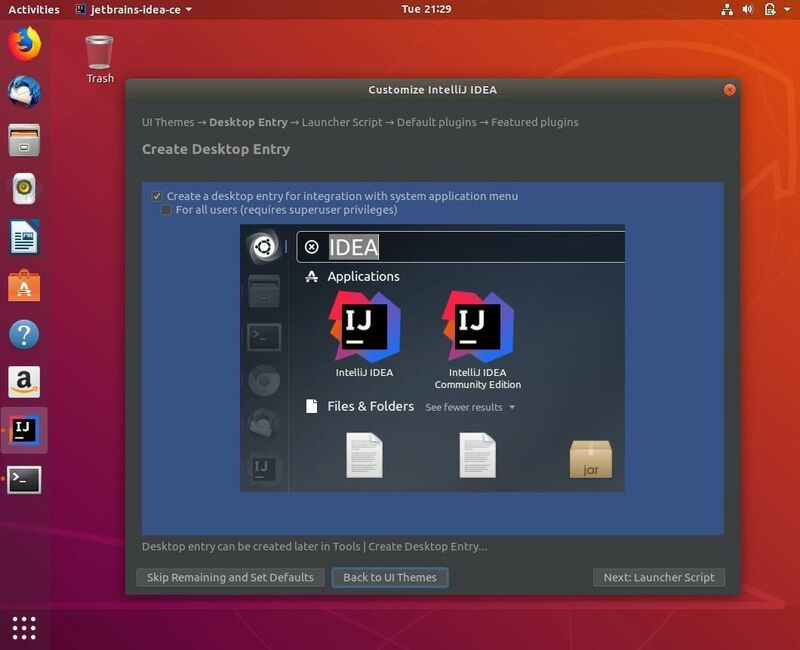 You have seen how to install IntelliJ IDEA on your Ubuntu 18.04. To find more information on how to get started with IntelliJ IDEA, visit the IntelliJ IDEA documentation page.